Mr Moses Anim, Second Deputy Majority Chief Whip is calling for the protection of Ghana’s agrarian lands against mortgaging for estate development. He made a case for the creation of land banks in the face of the growing need for more land to build more houses for the nation’s growing urban population. 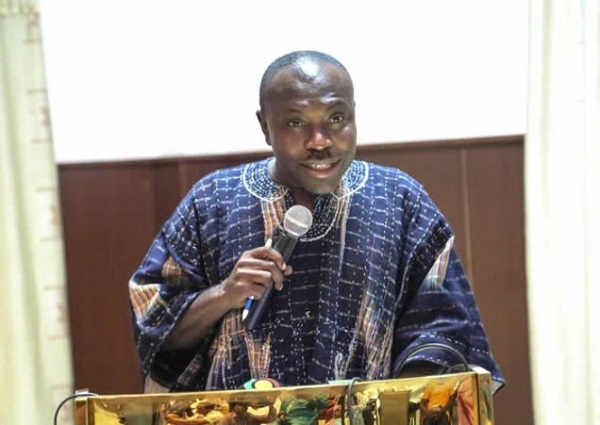 Stressing the need for national food security and adequacy, the Legislator, who represented the people of the Trobu Constituency in the Greater Accra Region, underlined more responsible land ownership and use schemes to ensure a fair balance of land use. Mr Anim made the suggestion in an interview with the Ghana News Agency (GNA), at the Parliament House, in Accra, after the House last Wednesday ratified a loan agreement of 19.6 million euros between the Government and the German Development Bank (Kreditanstalt Fur Wiederaubau; KfW), to support farmers involved in Phase III of the Out-grower and Value Chain (OVC) Fund. The endorsement of the facility, followed the successes chalked in the first and second phases of the OVC project, a report of the Finance Committee of Parliament said. The OVC III is aimed at deepening the gains of the two phases by improving the incomes of small-scale farmers, thereby contributing to reducing rural poverty. The commodities funded so far are rubber, oil palm, rice, pineapple, cassava, maize-soya-sorghum, cocoa, maize and poultry. According to the report, the KfW provided 10 million euros to finance the OVC in 2010; and in 2015 it also provided an amount of 23 million euros to support the second phase. The Fund, with a target of 6,421, has so far reached a total of 4,610 farmers, which covered 6,657 hectares. Mr Anim described facility as a “good loan”, but pointed out that such a facility would need to go with more land space for the improved productivity of the identified crops and animal. He indicated that with this loan, government would bring in big-time foreigners to do merchandised farming and also pave way for competitions of various crops. “We need to have food security in this country to ensure that we have food adequacy and excess food for export and processing. “We have been a commodity producing and export producing country all this while; that is the basis why the President came out with a strategy of Ghana beyond Aid and One District One Dam,” Mr Anim said. He said that could effectively work if land was taken over for housing development, a phenomenon he identified as affecting many growing cities and settlements in Ghana. Mr Anim mentioned with nostalgia how Amasaman, Pokuase, Medie, Sarpeiman, Akwandobro, Hebron, Obom Fise, Afiaman, Toman Kuntunse, to Nsawam, used to be basking with food production. However, land in these communities, then called Ga Rural, used for farming, lands are now being mortgaged for residential use, thus negatively affecting food productivity. Also, the area used to be the food basket and Green Belt of Accra, but has now been covered and encroached on by the development of houses, with the exception of the land declared by Dr Kwame Nkrumah for State Farms at Pokuase that was only still in existence. “What I was saying is that we need to identify some of these lands, and develop them into land banks,” Mr Anim said, and called for the modification of the land tenure system, to make room for heavy mechanised investment in agriculture. He further suggested that land available land countrywide should be classified into agricultural, industrial and residential uses, so that agrarian lands would not be put to other uses. Mr Anim suggested the development of well-structured estate units, preferably highrise buildings with much local content and affordable materials to cater for different groups of people. He also called for the development of food markets at the corridors of Accra to serve as a stop gap between the hinterland and the city of Accra.